Budding designer Lola Nolan doesn’t believe in fashion… she believes in costume. The more expressive the outfit – the more sparkly, more wild – the better. And life is pretty close to perfect for Lola, especially with her hot rocker boyfriend. That is, until the Bell twins, Calliope and Cricket return to the neighbourhood and unearth a past of hurt that Lola thought was long buried. So when talented inventor Cricket steps out from his twin sister’s shadow and back into Lola’s life, she must finally face up to a lifetime of feelings for the boy next door. 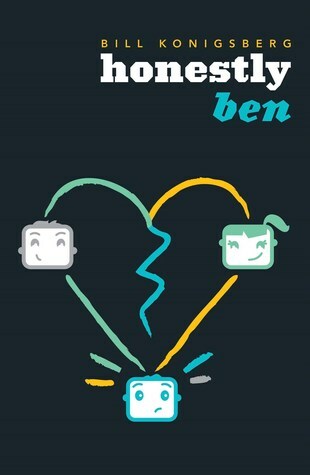 Could the boy from Lola’s past be the love of her future? Lola was awesome. She was just one of those narrators that you can’t help but connect with. She felt completely different to Anna, and I loved that. The art of fashion is her life. Designing elaborate and unique costumes for every day of the year, testing boundaries, she had this confidence, and a whole bout of insecurities. The romance may not have had the same desperate pull as Anna and St. Clair’s did, but it didn’t slow me in turning the pages. I devoured this book. Gulped it down. Consumed it. I never wanted that last page to come. But when it did, I had the biggest grin on my face. Stephanie Perkins has sold me. And now with that, comes the wait for Isla and the Happily Ever After. 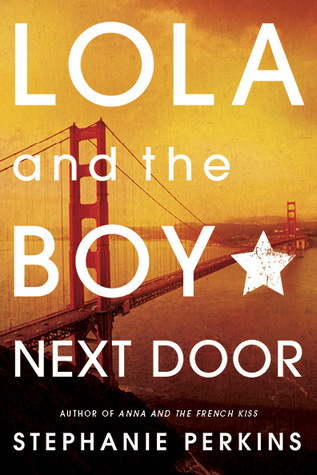 Falling for the boy next door may be clichéd, but this book felt anything but. It felt real. Despite her costumes, or maybe because of them, I don’t know, it all just felt as if it could be happening across the road from me, as if there could be a girl with two dads over there, them putting her boyfriend through hoops to prove his worth, or maybe to push him away. I wish it was real, that I could run across and nab a piece of Lola’s dad’s pie, check out her perpetually messy bedroom, spy the Bell twins through the windows, even see her dog, Heavens to Betsy. Yes…the book may have left a mark on me. Starting Lola out already in a relationship was an interesting call. It switched things up a little, and I liked that. Max, the boyfriend—parking meter reader during business hours, aspiring rocker every other minute—was not on the best of terms with Lola’s parents. Namely because of the age difference—him in his early twenties, and Lola…well, barely seventeen. I’ve seen it happen in real life, and…it’s weird. Not for them, but for everyone around them. The gap doesn’t make that much of a difference later in life, but when ones underage, yeah, it’s weird. The fact that this book goes there didn’t disturb me, but I was starting to see the cracks in their relationship early on, a lot earlier than Lola did. Strangely though, their relationship worked for the most part. I wasn’t fully on board with the ‘boy next door’, which had me wondering whether the title actually fitted the book, but as things progressed, my heart opened more and more with each pie emergency, or when they simply hung out. Drawing Anna and St. Clair back into things was a plus, but they didn’t elicit that same spark for me, mainly because we were seeing them from Lola’s perspective, the outsider’s view. They were fun, and cute, but watching them be all goo-goo over each other, it brought a few sarcastic remarks to mind. I definitely recommend reading Anna first so you don’t end up caught in that mindset before you get to enjoy all that her romance has to offer as well. But if I haven’t pointed it out already, come back for Lola, she’s awesome. What did I just say? Read Anna, read Lola, read EVERYTHING Stephanie Perkins.